We offer a Proven System. 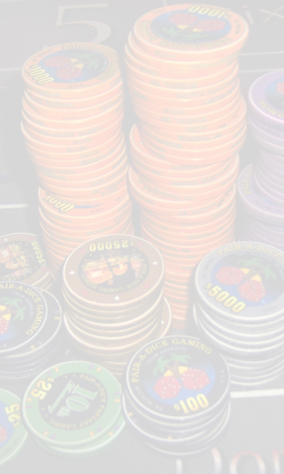 We offer a trouble-free format for the strategy of your casino gaming that comes from long-established techniques that have been tested and enhanced over the last 13+ years. 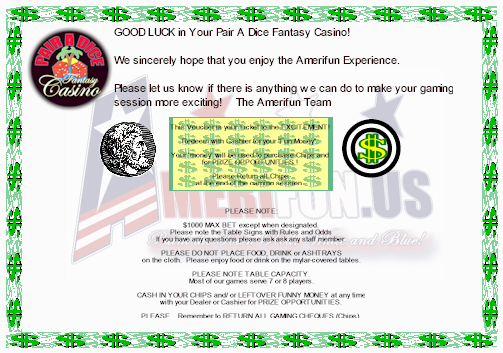 With Amerifun, you will receive a well-organized casino party with no guest confusion. Fun is our middle name and the essence of our business, but our format is the core of our service. We ensure clear and logical procedures for your guests to buy-in or Cash-out with no uncertainty. Our free 'Player Vouchers' offer you the means to effortlessly distribute funds to your guests beforehand. Your guests then take the voucher to a Cashier and receive their fun money. 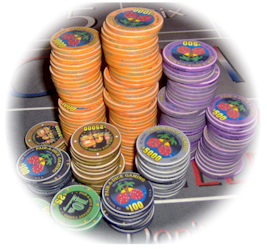 Just like in a casino, players buy chips at the table and carry them around (all chips must be returned). As a convenience to guests, evening-end Chip Redemption can also be handled right at the table. This saves guests from having to wait in a long line. 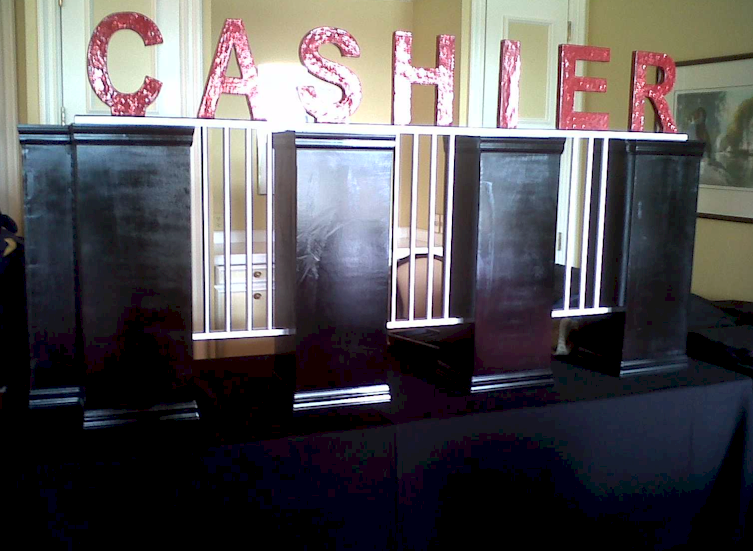 The Cashier is also available to your guests anytime throughout the event to redeems funds. 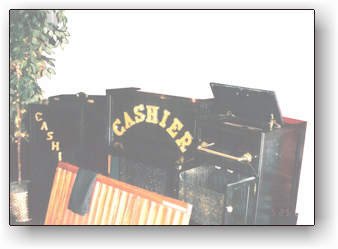 Complimentary Cashier Carts on wheels included to optimize your initial funds distribution, guest service and evening-end chip redemption. Streamlines your smooth-running casino. 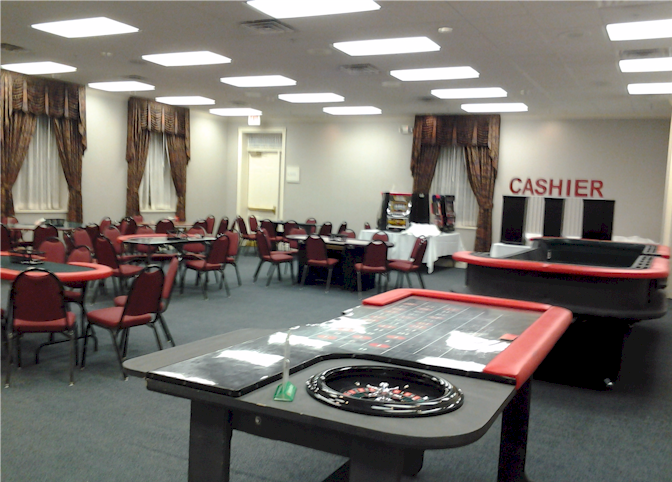 We also provide Free Tellers (1 per 100 people) at no additional cost when we are providing at least 5 games with dealers for your event. Additional staff members are also available by request. 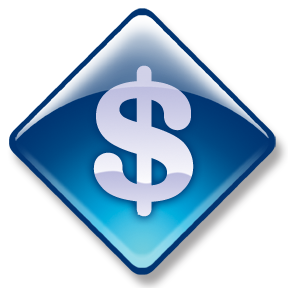 Our Tellers will coordinate Initial Funds Distribution as well as Evening-end Redemption. Coordinate Variable Amounts per person. NEW: Our new Cashier Cage is complete. Will still strive to offer the most Las Vegas-like experience since '97. 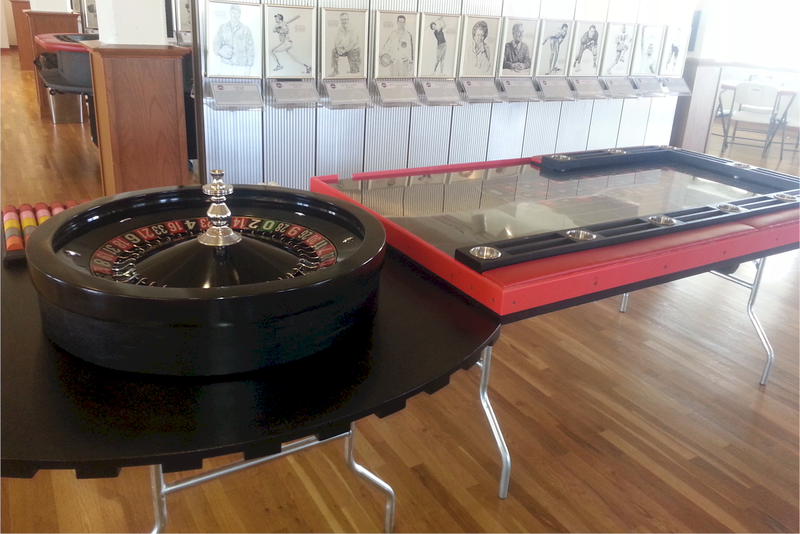 BELOW: Our new casino-style cashier cage is very versatile. Use as the full 8' version or convert to a two-window 6' version. Bonus: If space is limited, this cage also converts to a small one-window cage that fits on a 4' banquet table or small round table (smaller "cashier" sign included with 4' version). Time-tested and Refined. Not only do we make it easy for your guests to receive their prize opportunities but our methods are common prize methods so guests are probably already familiar with them. Based on the method you choose, we will include the prize tools right at the tables. This practice saves guests from having to wait in line at a central location by allowing them to cash-out with their dealer OR with the cashier anytime throughout the event. Prize Methods Main Page. This section IS MONEY RELATED! Guests will win plenty of it AND you get the best rates in town! 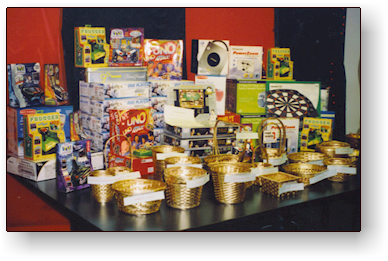 Our competitors haven't copied this yet because we have not been doing it that long but the customers sure love it... we do "walk-arounds" (or provide a dealer "jokebox") with trivia questions to win more money. First: We have a collection of crafty mystery objects... but we like to single-out the "lucky recipient" by gender. For example, you would be amazed how many gals don't know what a cigar cutter is and how many gents don't know what a cuticle remover is! Second: In addition to the mystery objects, we offer pre-printed trivia questions. Categories include: Trick Questions, Funny Facts, Local/State Trivia, History, Movies and more. 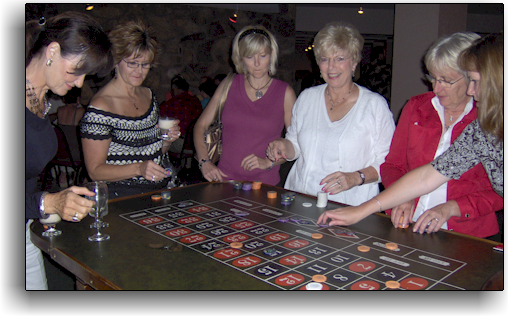 Payout determined by difficulty but guest usually will pocket Five Grand a pop! See a full listing of our mystery objects and trivia cards on our members page.